Like a parenthesis to the crowd taking their seats, a quiet chirping can be heard to stage left of the Elisabeth Murdoch Hall. The marginal sound reminds the audience of the omnipresence of insect life (as though they need reminding). Calix enters and removes a cloth covering the sound-source, an aquarium of crickets, whereupon the bass-clarinet quintet begins imitating insect noises on the backs of their violins, through flortando trills and squeaky-high tones. Projections of insects confined to shadowy jars fill the back wall of the stage. In the colour-saturated images an apple covered in cockroaches becomes a blood-red heart and leaves glow fluorescent green. As the camera pans across the jars the beetles, crickets and slaters are enlarged to enormous proportions. Their movements take on an almost human weight and gravity. The struggling of a cockroach on its back becomes that of an old man getting out of bed, the searching mouth of a grasshopper the very picture of hunger. With sounds captured from the ensemble and the calls of other animals including frogs and cicadas, the sonic menagerie builds to a crescendo and fades, revealing the layered, irregular instrumental ostinati so characteristic of Calix’s music. In its spacious arrangement of diatonic triads, fourths and ninths Calix’s music resembles the “sacred minimalism” of Arvo Pärt and John Tavener. The chromaticism-tinged solo lines emerging from the ensemble recall the Brodsky Quartet’s collaborations with Björk in 1999 and 2000. The playful naturalism of her works conjures Meredith Monk’s compositions of the 1990s. Within such a minimalist stylistic frame the musique concrète of insect calls provides welcome timbral complexity and stereophonic interest. The more complex electroacoustic element of Calix’s music was further developed in her Made of Music commission. I previously wrote about the Made of Music Project and Matthew Herbert’s Made of Music commission One Room. The Melbourne Recital Centre gives composers data extracted from the width, colour and texture of a piece of the hoop pine from which the Elisabeth Murdoch Hall is made. The composers may then sonify this data as they see fit. In Calix’s piece “he fell among roses” the hoop pine was interpreted as MIDI data that determined an electronic track. The piece opens with a rising gong sound like an enormous bubble rising out of water, with gibbering vocal fragments running off on all sides. Resembling recent work by British composer Natasha Barrett in its timbre and movement, the track would have benefited from some sort of ambisonic diffusion, perhaps even performance in the Salon rather than in the Hall. The electronics rode above an ensemble of string quartet, clarinet and piano that drove through a series of rhythmically charged scenes until the track faded to a pulsing bass, as though we were standing outside the hall while the concert continued within. The “ento-” in “entomology,” like the word “insect,” refers to something cut into pieces or segmented. In this sense we might consider music a sort of insect and talking about music a sort of entomology. A single piece of music is also made of smaller pieces separated either in time, as in the verse and chorus of a song, or in “vertical” musical space, such as the simultaneous human and insect voices in E21’s concert. Like the thorax, abdomen and legs of an insect, the different parts of a musical composition have to work together to form a whole that “works” for the listener (or a non-working fragment, if you like). Unlike many contemporary compositions, Calix’s music is about “working.” Most pieces contrast episodes of layered irregular rhythms—like the simultaneous movement of the irregular segments of an insect’s legs—and satisfying chords in rhythmic unison. Most pieces build to a strong finish, complementing their more ambient beginnings. 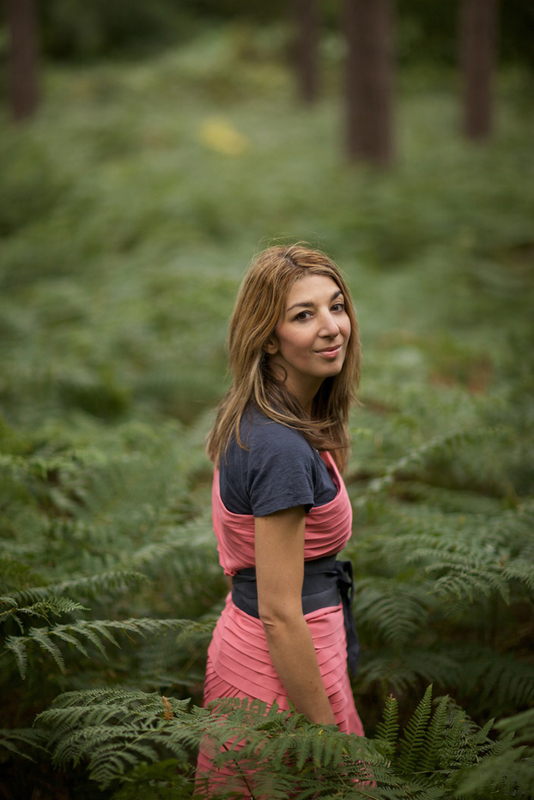 Mira Calix performs her second and last concert at the Metropolis New Music Festival tonight, Saturday 20 April, at 6pm.